Arrival at delhi airport / railway station by our representative, later transfer to hotel. Overnight stay at hotel. After breakfast city tour of new delhi & old delhi covering birla temple, india gate, pm house, humayuns tomb, red fort, qutab minar, gandhi memorial, jama masjid. Overnight at the hotel. After breakfast, proceed to mandawa located in the shekawati region of north – west rajasthan. On arrival mandawa check in at hotel and afternoon visit mandawa bazaar and havelis. Overnight at the hotel. After breakfast full Day tour of mukandgarh, nawalgarh fort, dundlod havelies (houses of rich business community) known as marwaris, famous for paintings & frescos. Overnight at the hotel. After breakfast proceed for bikaner, on arrival bikaner check into hotel then city tour of bikaner visit-junagarh fort, lalgarh palace. Overnight at the hotel. After breakfast proceed for khimsar enroute visit nagaur, a desert town noted for its fine fort and then visit the royal castle at khimsar. Evening, drive into the desert to see the sunset and to spot antelopes, peacocks and deer. Overnight at the hotel. After breakfast proceed for jaisalmer via visit the hindu jain temples at osian. On arrival jaisalmer check into the hotel and evening drive outside the city to see sunset point for a superb view of the city & enjoy camel safari. Overnight stay at hotel. 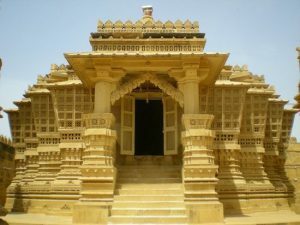 Breakfast at hotel and city tour of jaisalmer visit-manek chowk, patwon ki haveli, salim singhji ki haveli, sonark fort, gadisar lake and bada baugh. Overnight at the hotel. Breakfast at hotel and proceed to jodhpur and on arrival jodhpur visit- mehran garh, jaswant thada, umaid Bhawan palace. Overnight stay at hotel. Breakfast at hotel, and proceed for ranakpur. On arrival ranakpur check into hotel, later visit jain temple-along the western slopes of the aravalli hills is the celebrated jain temple of ranakpur. The 15th century charmuka (four faced) temple is dedicated to adinath, the jain tirthankar (saint). It is the main temple in the complex. This temple built in 1439, has 29 halls, supported by 1444 pillars , which are all beautifully crafted and no two of the 1444 pillars are alike. A kilometer away from the complex is the amba mata temple, dedicated to the mother goddess and the sun temple. Jain temples are open to anyone who wishes to enter, unlike several hindu temples which restrict entry only to members of their fold jain temple. Over night stay at hotel. 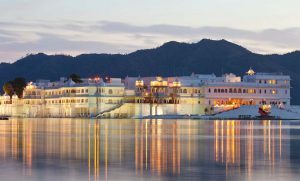 Morning at leisure, later proceed to udaipur, on arrival udaipur check at hotel, Late afternoon enjoy a boat cruise on the placid waters of lake pichola. From the lake you have a wonderful view of the city palace stretching along the east bank, while the south bank has pleasant gardens running down to the waterside. Overnight at the hotel. After breakfast city tour of udaipur visit-city palace museum, pratap smark, shahelion ki bari, shilp gram, jagdish temple and boat ride at fatehsagar lake. Overnight stay at hotel. Breakfast at hotel and proceed for jaipur, on the way visit pushkar-world only brahma temple, sarovar lake and local market then continue drive for jaipur. Overnight at the at hotel. Breakfast at hotel, and city tour of jaipur visit- birla temple, albert hall, wind palace, city palace, observatory, water palace & elephant ride at amber fort. Overnight stay at hotel. After breakfast drive for Agra, on arrival Agra check-into hotel, later city tour of Agra visit taj mahal, Agra fort , tomb of itmad-ud-daulah. Overnight at the hotel. After breakfast proceed for delhi, on the way visit sikandra-the mausoleum of great mughal emperor akbar. On arrival delhi transfer to airport / railway station. Tour end with great memories. 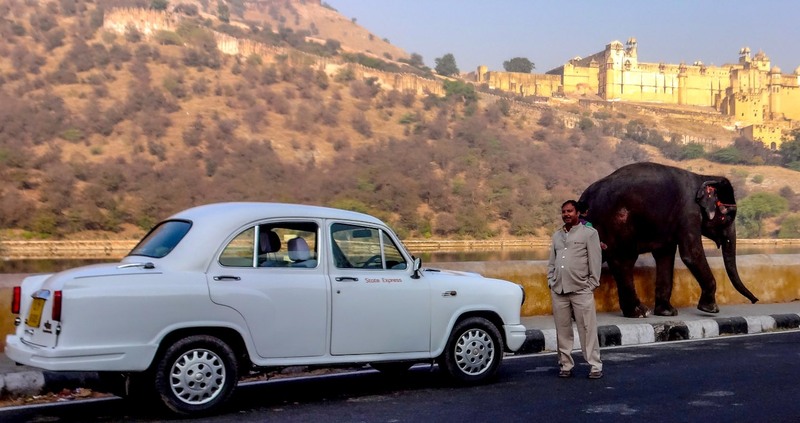 We Glad Offering to Our Customer for Rajasthan tour by car and driver you can book your car and driver service any time with us, We have English speaking Drivers and some more others language Drivers. Rajasthan and Agra 15 Days Road trip By Car.